Alazia has been a part of the Camp Grace family for many years. As a child she found herself in the foster care system of Georgia. Her foster family partnered up with Camp Grace and she started attending Camp Grace in 2007 when she was 7 years old. She has since come every summer for the last ten years. When she was old enough she was able to start volunteering as a Counselor In Training, an aid that stays in the cabins and help with campers, and she jumped at the chance. 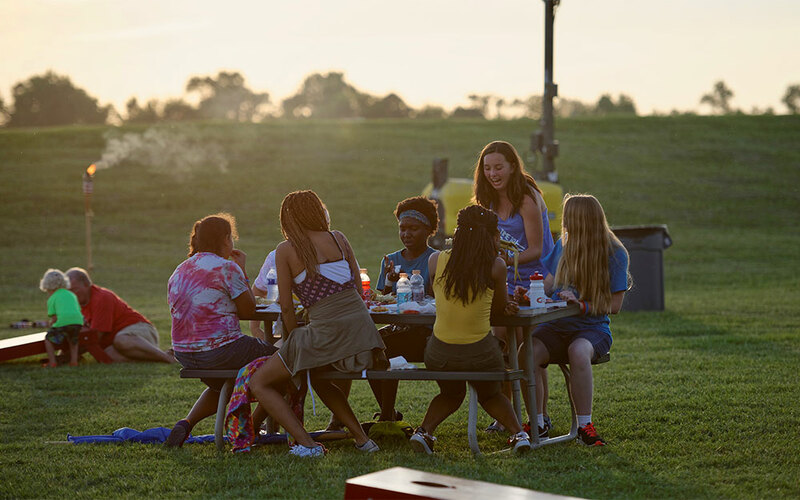 For the last few years, Alazia would not only attend Camp Grace as a camper during Teen Week, but would volunteer other weeks of her summer to be a CIT. This past year she turned 18 and became eligible to apply for summer staff. Summer 2018, Alazia will be coming to Camp Grace for her 11th consecutive summer and as a member of our 2018 Summer Family. Alazia will be working in the kitchen helping to prepare meals for campers as well as being in a cabin and being an aid to a counselor. Upon asking Alazia want her favorite memory of camp for the past ten years, her answer was “My last year of camp because I had the best cabin. We were always finding things to laugh about and we would just look at each other and burst into laughter! To top it off we won the Spirit Point Challenge and were the Spirit Point Champions, which I had never won before until then!” She also says she is beyond excited for this summer and can’t wait to experience a different side of camp and try new things. She is also looking forward to becoming closer with God and working alongside the rest of staff to provide our campers with their best summer ever. Alazia is the living model of what we hope happens at Camp Grace. She came on request of a loving influential member of her community. The Christ-centered experience afforded her was due fully to the thousands of supporters of Camp Grace. As a camper she accepted Christ and began to pursue that personal relationship. Her week at Camp Grace every summer was THE highlight of her year. Every summer her love for the Lord and Camp Grace grew until she was at the age to volunteer. Then the young lady from humble means came to camp to serve kids that were just like her. Now finally she has graduated high school and is coming back to be a part of our 2018 summer Family to commit herself to a full summer of service. With the help of all our supporters we ARE changing Georgia one child at a time! Thank you for your part of this story.